Sony is finally joining the cord-cutting club. 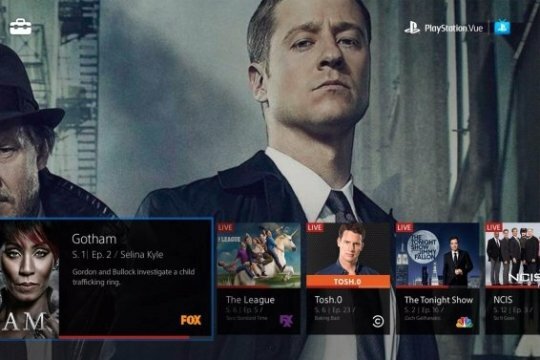 The entertainment and electronics juggernaut is gearing up to launch its long-anticipated PlayStation Vue streaming TV service within the coming two weeks, reports The Wall Street Journal. Related: Looking to Cut the Cable Cord? Dish Network’s Sling TV Is Now Available to Everyone. News of the imminent offering – available only for Sony’s PlayStation 3 and PlayStation 4 gaming consoles initially and eventually coming to iPads and other mobile devices – arrives on the heels of competitor Dish Networks’ Feb. 9 Sling TV launch. The service – aimed at young, streaming-savvy gamers and originally kicked off in beta last November – will launch in Chicago, New York and Philadelphia upon completion of invite-only tests in each city, Sony Computer Entertainment president Andrew House told the Journal. Nationwide availability is slated for the end of the year. Related: Is Apple Getting Actually Getting Into the Web TV Game?